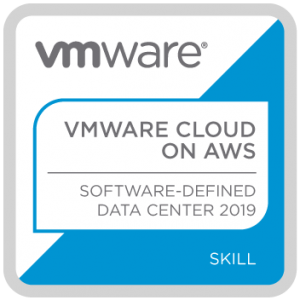 For me, one of the most exciting and recent developments in cloud computing was the announcement of VMware Cloud on AWS, which enables customers to run the VMware SDDC stack, so vSphere, vSAN and NSX, on AWS. Powered by VMware Cloud Foundation, it is a way to easily start your journey to public and hybrid cloud, consumed as a service from VMware. OK, I should have posted about this sooner, but I needed to do it as I plan to post on more advanced topics which refer back to this post, such as bulk migration into AWS with VMware Hybrid Cloud Extension HCX, egress charges for data leaving AWS, update on changes to storage etc. It’s also given me a chance to share questions and thoughts I’ve had in the field since its release. VMware Cloud on AWS is a service delivered directly by VMware, supported by VMware’s Global Support Services (GSS). A little known fact about vSphere on this offering, is that it will always be the latest and greatest version, potentially ahead of anything you can get for your own DC, so early access to features which is always good. VMware manage the monitoring and maintenance of hosts and the software in your environment meaning your admins are able to focus on administering vSphere, vSAN and NSX, and can stop about worrying about software patches, updates, and anything to do with the physical servers themselves such as firmware updates. Tooling and automation continue uninterrupted, so no need to rewrite your beautiful PowerCLI scripts. This brings me to why customers want to migrate to public cloud. Onsite server rooms and on premise DCs will be here for a long time, but increasingly customers want to avoid the high CAPEX and OPEX expenditure of running on premise DCs. Watching servers and switches age and go end of life, meaning further investment is required. The public cloud is the perfect solution as this effectively makes the hardware layer someone else’s problem, allowing you to focus on your business and make it easier to predict any ongoing costs. The hybrid model for many customers is the sweet spot between leveraging their existing investments on premise, while beginning the journey to public cloud. It also allows you to leverage the growing AWS footprint, currently in Oregon, Virginia and London, with more coming online by the end of 2018, giving you truly global resilience for your Disaster Recovery needs which you can deploy on the other side of the world in minutes. Does that mean ESXi is nested? No, it runs on bare metal so you get the full performance benefits. What spec are the hosts and how many can I have? EC2 I3 server which is 2 x Intel® Xeon® E5-26xx v4 series CPUs, 18 cores per socket so 36 cores per host, 512 GiB Memory, 8 x 1900 GB NVMe SSD. At the moment the minimum is four hosts per cluster, with a maximum is 32, so that’s a lot of computer power and storage per cluster! Specifically anything from 144 cores with 2048GB of RAM up to 1152 cores and 16384GB of RAM! Per Cluster! Who do I pay? VMware or AWS? And how long are the agreements? VMware Cloud on AWS is purchased and managed through VMware. You should ask your VMWare account team if you’re thinking about this. Running on AWS means you can also consume a lot of the services offered by AWS, utilising high bandwidth and low latency. Services such as AWS Lambda, Amazon S3, Elastic Load Balancing, Amazon RDS, Amazon DynamoDB, Amazon Kinesis and Amazon Redshift…. the list at times seems endless. You pay AWS for any additional services that you purchase. The VMware on AWS service can be purchased as on-demand, or on a 1 or 3 year subscription, with an economy of scale for choosing a 3 year deal as you would expect. A 1 year subscription is 30% cheaper over a year than on-demand, and 3 year 50% cheaper, which can be pretty huge savings depending on the size of your environment. There are two important points I’d like to make here. On-demand in my opinion is more aimed at a proof of concept, as it is the least cost effective option. That said, a proof of concept is a great way to test the waters and you lose nothing as you can convert on demand to a subscription at any point, so nothing is lost. Why don’t I just go straight to AWS over VMware on AWS? There are many reasons but I’ll give my opinion on a few. This is a service consumed from VMware, which means everything will be set up to VMware’s best practices, and certified and supported by VMware. You’ve likely already made investments in your current environment, in software, licensing, training and hardware. This proposition rather than replacing your existing investments, compliments them by allowing you to migrate workloads into AWS while still operating an on premise DC as both vCenters are in linked mode. The skills your admins have learned to maintain your environments are all still valid and you can begin migrating your workloads into AWS right away, although of course there are a few pre requisite checks you’ll need to perform which I’ll mention in another post. Going to VMware on AWS makes hybrid and public cloud easy. It leverages the power of AWS DCs and means that you can easily migrate your existing workloads to the cloud. Should you need to, you can migrate back out of AWS to on premise. You don’t have to unpick your workload from someone else’s DC as you would with a managed services provider. You right click, vMotion to somewhere else, simple. Can I see VMware on AWS before we pay anything? Previous: Previous post: What is VMware Skyline?